If you like to quote, “Did your man deliver, or did he deliver?”, then this is the fruit for you! The outside is really hard, even when ripe (so you need to test it by sticking a toothpick in to it) but the flesh is perfectly creamy and soft, spreads with a butter knife. No strings like some avocados. Smooth condensed avocado flavor. This is the most avocadoey (a technical term) avocado that I have ever had. I would write my overall thoughts here but I can’t stop the stream of tears coming from my eyes because I have no idea where I will ever find another one of these. I have to launch the search for Finding Nimlioh! I am in creamy, dreamy avocado love. I turned this avocado in to guacamole and it seriously lasted for days and days. This one humongous avocado could easily feed six people if none of those people are me because I am not sharing. No – find your own Nimlioh. This one is mine. We are located in the San Fernando Valley portion of Los Angeles. We will be relocating to Carpinteria, CA near Santa Barbara. I have been trying to find Nimlioh avocado trees to plant by pairing up with a Hass tree. Do you have any information where the Nimlioh trees are available? Oh I wish I knew. I received this one as a gift when I attended an avocado lecture at a California Rare Fruit Growers Meeting. The woman speaking was the UC Irvine Avocado Curator. Their website is here, maybe that will help. I just bought a Nimlioh and Queen avocado from Atkins nursery in Fallbrook. You might want to give them a call and ask if they have any more. Ohhh – right here in Fallbrook? That’s fantastic. I don’t grow anything (black thumb + laziness) but I hope someone close by grows some and sends them to me. Wink, wink, hint, hint William. Did you ever find out where to get more Nimlioh avocado, or even a tree? I am in the LA area, but will be planting it as a “B” blossom to go along with my Hass. I also have a young Zutano tree in its first year without grafting. Any suggestions, other than the rare fruit growers will be meeting later this month in Balboa Park, San Diego. In December, I bought a large avocado fruit (more than a pound) from the local LA market, with a sticker “Grown in Dominican Republic). 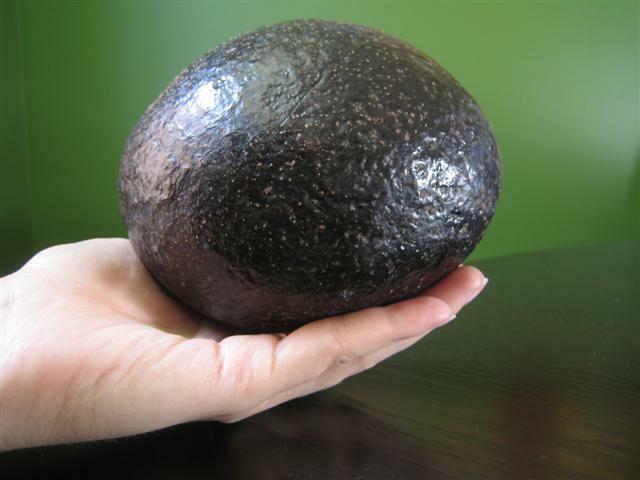 I’m trying to find out if this fruit is what is referred to as a Florida Avocado? 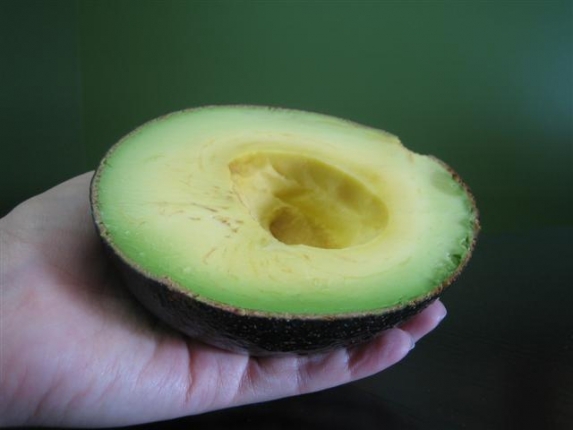 If not, what is a Florida Avocado? I’m trying to pair up A and B blossoms, and so far have Haas and Zutano trees going. My understanding is that a Florida Avocado is likely just a reference to the location it was grown and a reflection of some sort of united group of growers promoting the region. It is unlikely that Florida Avocado is a specific variety, but I’m not at all an expert on that. Thanks, FM. You are likely right about your speculation. Could be Fuerta. I am continuing my search for Nimlioh and Atkins is not answering the phone. We will continue to try to purchase a Nimlioh tree to pare up with Hass (A and B blossoms). BTW, I have a small Cherimoya orchard in Carpinteria and will be removing some mature fruit-bearing trees. Any interest? If so, contact us: brocos@sbcglobal.net. If you want to know where to get Nimlioh email me. I have 10 small trees but I don’t know much about them. I grow Nimlioh as well…but I grafted mine onto a seedling avocado that volunteered by rolling out of our compost pile and taking root. I got my scion wood from Julie Frink…who is your avocado expert from the Orange County Chapter of the California Rare Fruit Growers. We have a Scionwood Exchange each January..held at the Barn on the Orange County Fairgrounds…in the Centennial Farm…located just north of the parking lot on Fairview…where the huge swap meet is on the weekends. They have a website…and the meetings are held there at the farm…in the Silo building…right by the animals and crops. You need to be a member to enjoy the scion wood exchange…but you may be able to join a local group to get your Nimlioh scions…to graft to your seedlings. This is the tip growth from anyone who grows the variety you want to graft onto the one already either growing in a pot or in the ground. I have had not luck with grafting in pots…but always have luck if I graft a seedling avocado that is rooted in the ground. They no longer meet at the OC Fairgrounds…Check with you local CRFG Chapter. There are grafting lessons every year…around January…You can easily learn how to graft onto an avocado seedling…any scionwood you like… The Scionwood Exchange happens at all our clubs around January. They also are on sale over the internet…Good Luck!!! I just purchased the Nimloih avocado tree – 5 gallon size, a new arrival at Mimosa L.A. Nursery in East L.A. last week – $35.00 if that helps.